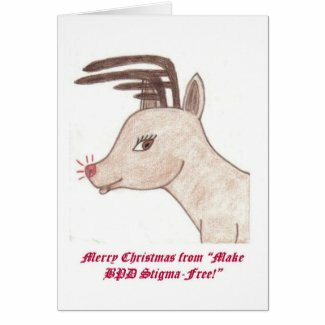 store | MAKE BPD STIGMA-FREE! 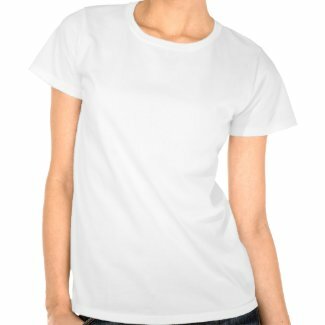 Should I Keep My Zazzle Store Open? 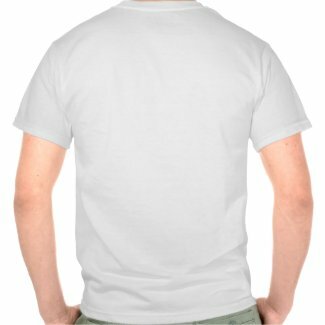 *NEW* “Ask me about my BPD” T-Shirt! On the back of this shirt is a BPD Fact Sheet so that others can learn more about BPD. If they would like to learn even more, then can just ask you. 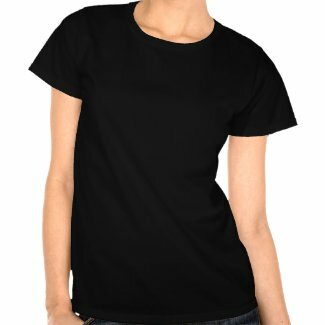 Now available: BPD Friend’s T-Shirts! Wear these t-shirts with pride and help spread awareness and eliminate the stigma of Borderline Personality Disorder. 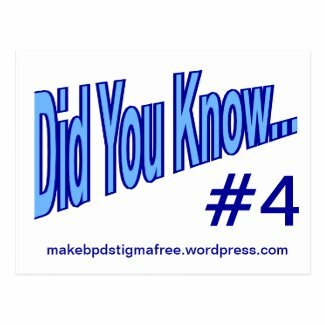 Together, we can MAKE BPD STIGMA-FREE! Which t-shirt do you like the best? The first one tells you the answer right away, then catches you off guard with the truth of how devastating BPD is. The second one catches your attention then you have to read the back to find out the rest, which keeps you in suspense. 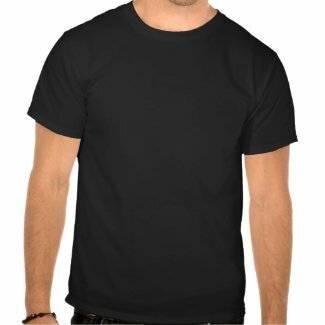 Lots of New Men’s Apparel at my Zazzle Store! *NEW* Seasonal Products at my Zazzle Store! Have you checked out my Zazzle Store yet? There’s a cool Halloween card, and lots of Christmas cards, plus some beautiful ornaments. Order early to send your cards out on time! How about including some information on BPD with your card? 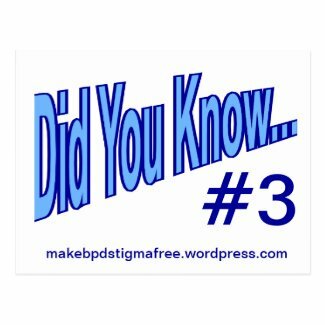 Erase the Stigma of BPD! 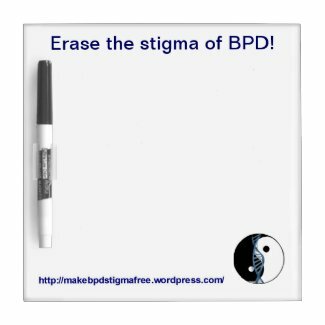 Erase the stigma of BPD every time you use this white board! Get Your Square “Make BPD Stigma-Free!” Scenery Pin! 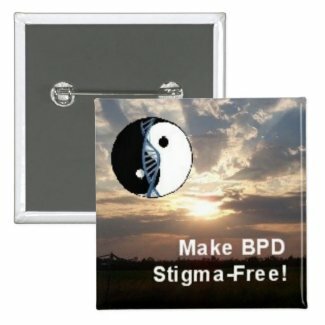 Help raise awareness and reduce stigma of Borderline Personality Disorder with this beautiful scenery pin! Walking the Borderline has lots of great clothes and other items featuring all kinds of BPD phrases. 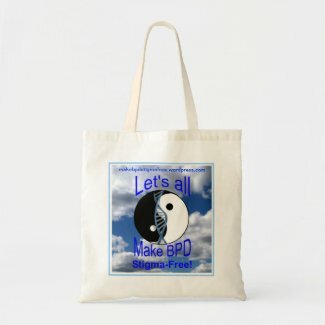 “Make BPD Stigma-Free!” Zazzle Store Now Open! 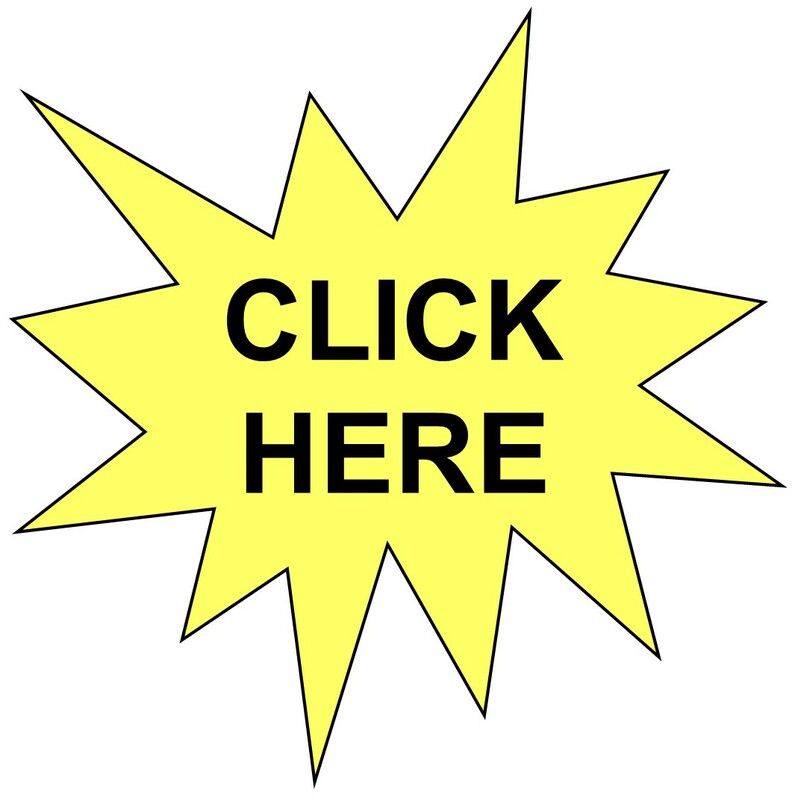 Check out my new Zazzle Store! Each purchase you make helps to raise awareness and reduce the stigma of Borderline Personality Disorder.